Licensing is a grant of permission issued to a Healthcare Establishment (HCE) by the Punjab Healthcare Commission (PHC) under the PHC Act 2010 for the use of any premises or conveyance as a Healthcare Establishment. What is a Healthcare Establishment (HCE)? A Healthcare Establishment means a hospital, diagnostic center, medical clinic, nursing home, maternity home, dental clinic, homeopathic clinic, tibb clinic, acupuncture clinic, physiotherapy clinic or any other premises or conveyance wholly or partly used for providing healthcare services. What is Licensing of Health Care Establishments (HCEs)? Licensing of HCEs is a grant of permission issued to a HCE by the Punjab Healthcare Commission (PHC) under the PHC Act 2010 for the use of any premises or conveyance as a Healthcare Establishment. Is every HCE required to obtain a License? Yes. All HCEs (as described above) in Punjab, both in the public and private sectors, are required to obtain a license from the Commission. What are the benefits/incentives of Licensing for a HCE? Licensing certifies that a given HCE is allowed to operate as a professionally safe place, promising elimination or substantial reduction in the number and severity of system failures, enhancing patient and practitioner confidence in the HCE thereby raising its profile, professional value, clientele and quality of healthcare services. Licensing will also ensure that the Commission takes cognizance regarding any case of harassment of a healthcare service provider or damage to a HCE. 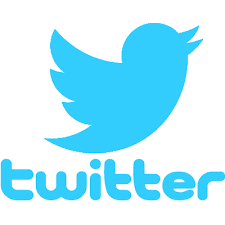 What is Registration and what does it entail? Registration: It is a process of enlistment of a healthcare service provider with the Commission. Application for registration is made to the Commission on a Prescribed Form, which can be downloaded from the PHC website or obtained in person from the PHC office. Upon acceptance of application, the Registration Certificate is issued in approximately two weeks but it may take longer depending upon the workload, in which case the registration is deemed to have taken place provisionally. What is a Provisional License and what does it entail? Provisional License: A registered healthcare service provider applies for a Regular License on a prescribed form which can be downloaded from the PHC website or obtained in person from the PHC office, which shall be accompanied by such particulars, documents and fees as prescribed therein, within 30 days of receipt of getting registered or within any other time frame as decided by the Government. The Provisional License is issued to the applicant HCE if the application is found correct. A set of Minimum Service Delivery Standards (MSDS) and MSDS Reference Manual is provided and a time period is defined to the HCE for implementation of MSDS and preparing itself for getting inspected for issuance of a Regular License. What is a Regular License and what does it entail? A Regular License is issued to a HCE when it meets all the requirements of MSDS, as assessed by the assessment/inspection team and approved by the PHC. A HCE is required to display a Regular License at a prominent point within its premises that is readily visible to patients, employees, and visitors. A properly displayed license is a formal requirement as well as a practice that lends credibility to the HCE regarding delivery of quality services. Licensing is a mandatory process that focuses on enforcement of MSDS for health facility operations. Licensing only sets out standards that a HCE must observe and implement in order to operate and deliver safe healthcare services. Accreditation, on the other hand, is a voluntary process that focuses on higher achievable standards and recommendations for improvement of health facility operations. It declares a HCE’s quality of performance in conformity with nationally and internationally accepted healthcare service delivery standards. The standards for Accreditation exceed the minimum requirements for Licensing. What are the key steps of a Licensing Cycle? Every healthcare service provider is required under the law to apply for registration on the Registration Form prescribed by the PHC. Registration form can be downloaded from the PHC website or obtained in person from the PHC office. The healthcare service provider returns the duly filled Registration Form to the PHC. The HCE submits an application of license in the prescribed format given by the PHC and a Provisional License is issued to the HCE. MSDS document and Reference Manual are provided to the provisionally licensed HCE. Staff of HCE is imparted training on MSDS to ensure effective implementation of standards. The HCE implements the MSDS within a stipulated period. A team appointed by the PHC visits the HCE to gauge the implementation and compliance of the MSDS. How long does it take for obtaining a Regular License? From the time of issuance of provisional license to the grant of a regular license, a maximum of 6 months is given to the HCE. It also depends upon the licensing schedule of the PHC. Is there a fee to be paid by the HCE for licensing? 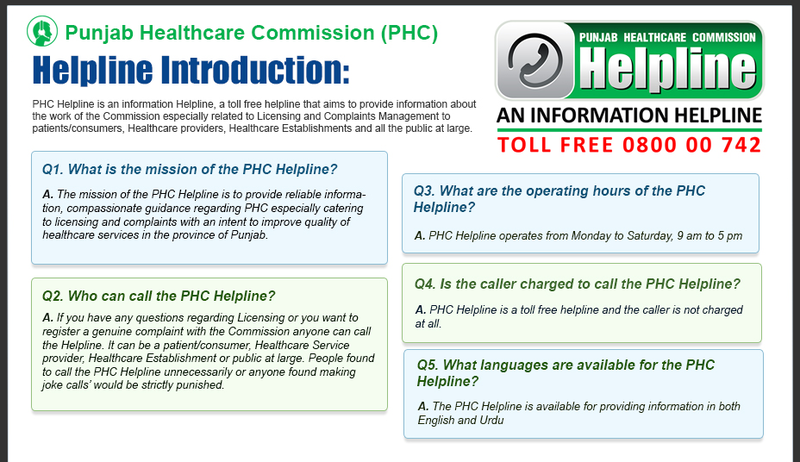 At the time of registration, the HCE/ healthcare service provider is not required to pay any fee to the PHC. However for obtaining a Regular License, a licensing fee that is prescribed by the PHC and is valid for five years has to be paid by the HCE. Additional Fee in case of re inspection will also be charged. Will the fee for licensing and re inspection be the same for all HCEs? No. The fee for licensing and re inspection shall not be the same for all HCEs. It will vary according to the level of the facility and shall be prescribed by the PHC and notified accordingly. What happens if a HCE fails to implement MSDS within a stipulated period? The Commission is entrusted to ensure that all HCEs that are registered and provisionally licensed with it, implement MSDS within a stipulated time to get a Regular License. If a HCE fails to implement the standards within the given time period, the Commission may impose a fine, which may extend to five hundred thousand rupees or issue an order of closing down of the HCE till the standards are met. The cost in respect of the revisit to the HCE to check compliance with the standards will be borne by the HCE. Can HCE file an appeal if denied issuance or renewal of license? Yes. A HCE can file an appeal if denied issuance/ renewal of license or ordered to close down the HCE. The HCE shall have the right to a fair hearing in accordance with the Punjab Healthcare Commission Act 2010. What is the role of Surveys and Inspection in the Licensing process? A HCE that is granted a license is subject to periodic review and inspection by a designated team of surveyors and inspectors appointed by PHC. The inspection team will inspect a HCE at the time of issuance and renewal of license or on receipt of a complaint or as part of a periodic review. How long does Regular License hold validity and when does it need to be renewed? A Regular License is valid for a period of five years after which it needs to be renewed. Renewal may be subject to review and inspection by the PHC. A HCE, which does not file for renewal of license after its expiry is liable to be fined as per the PHC Act 2010. Can a HCE’s license be revoked/suspended? If yes, under what conditions it may happen? Yes. A license granted to a HCE can be suspended or revoked or refused for renewal if it fails to comply with the standards set forth in MSDS and/or violates the provisions of the PHC Act 2010 and/or commits repeated instances of serious medical negligence and system failures, indulges in fraud to obtain a license, refuses to undergo inspection and/or fails to comply with the licensing rules and regulations of the PHC. Under what conditions can a HCE apply for re-issuance of a Regular license? A licensed HCE is required to apply for reissuance/renewal of the Regular License within a reasonable time before expiry date. The license will be reissued after full inspection by the PHC and payment of the prescribed fee. What happens to the license in case of shifting of a HCE to a new location? In case of the shifting of a HCE to a new premise, the license issued earlier by PHC shall remain valid. However, the healthcare service provider will have to inform the PHC prior to the shifting of the HCE. In this case only the expenses incurred on re inspection of new premises will be paid by the HCE. Will the license issued to HCE specify any details? Every license issued to a HCE shall specify the kind of HCE for which it is issued and the purpose of the HCE including the list of specialties / services that the HCE can offer. Can a licensed HCE be used for any other purpose other than which the license is issued? No. A licensed HCE shall not be used for any purpose other than the purposes in respect of which the license is issued and for the purposes incidental to such purposes for which it was licensed.